Technicians, scientists, pharmacists or even lawyers, all of them are already an expert in their field of study. So why would they consider a MBA program? A Master of Business Administration strengthens leadership and social competences and provides participants with legal and economic know-how. MBAs, thus, prepare new leaders for taking over more responsibilites and managing positions. 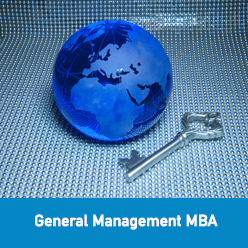 The General Management MBA is your kick-off to a career in business! The successful MBA Program is conducted by TU Wien in cooperation with Danube University Krems. While Danube University Krems offers ten years' experience in post-graduate management education, TU Wien provides special expertise in business education for engineering and natural science majors. You can individually organize the third semester according to your needs and interests and choose modules from the 4 specialization options stated below (25 ECTS in total). For example, you may combine classes in Vienna and Krems with one study abroad (depending on availability). The fourth semester is dedicated to writing a practice-oriented master thesis. The third semester is held in English. Based on the first year, the specialization builds upon the general management knowledge. Currently, the contents consist of topics in Financial Management, Strategic Management, Human Resource Management, Entrepreneurship and Advanced Business Planning. The contents of the specialization modules are regularly adapted according to the changing requirements of managers. In the second year, students have the opportunity to study for one semester at the renowned Baruch College in New York City. The students will be fully immersed in the host university program during their stay. Expenses for travelling and accommodation are not included in the MBA program fee. Visit the General Management MBA page on the Vienna University of Technology website for more details!